BUKIT LANJAN: Why lend your support to MasterChef UK morons? Initially, the administrator of this blog just laughed it off when Zaleha “soft chicken rendang” Kadir Olpin was eliminated from the quarter-final of the BBC show “MasterChef UK”. But, when the two so-called “chef judges” stood their ground that chicken rendang should be crispy, and that Zaleha could not respond verbally or in writing on the issue, due to contractual reasons, it becomes real and serious issues. “In the first place, the two judges know nuts about chicken rendang. Just because they are judges, they decide the recipe of the dish?” Gerakan Deputy Speaker Syed Abdul Razak Alsagoff said. “The two judges had obviously been shooting their mouth too fast with their comments without using their brains. That made them look stupid but they are not man enough to admit their erroneous comments which were neither applicable nor valid. “They also had the support of other fools linked to the MasterChef UK organisers. That’s how big their ego is … an apology would have sufficed, and there would be no issue. “Instead, they turned their show into a global embarrassment, exposing their foolish characters,” he added. 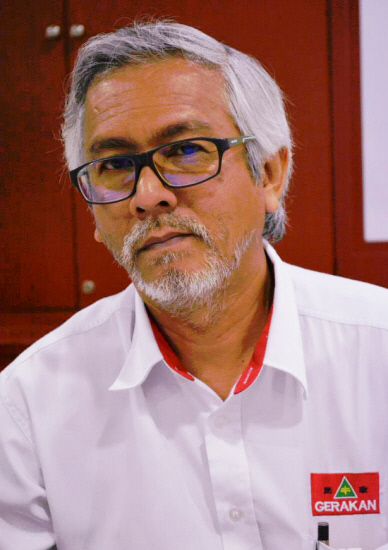 Syed Razak said the organisers had also shown what the British brand of freedom of speech and expression “is all about”. “Why are they so scared of having freedom of speech and expression? What have they to hide to include in the contract for contestants to seal their mouths?” he asked. 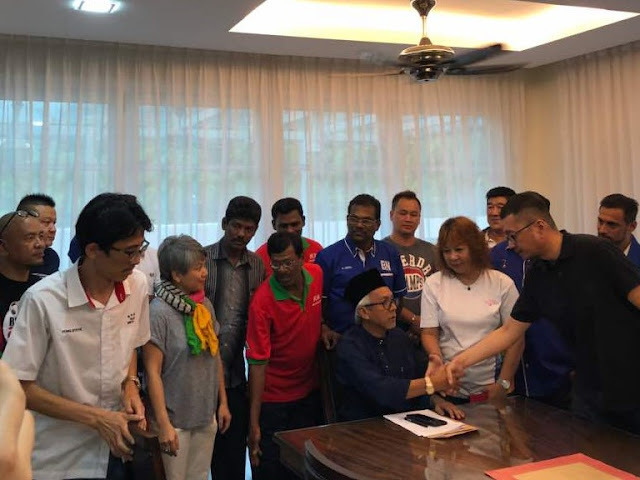 Syed Razak, who is Gerakan’s nominee to contest N.37 Bukit Lanjan in the coming 14th General Election (GE14), said: “Malaysians should blacklist the grossly inadequate MasterChef UK and refrain from supporting or participating in it. The rest of the world should also react the same way. “MasterChef UK insults the intelligence of all chefs in the world, perhaps not to the snobbish British. So, why lend your support to morons,” he added. Zaleha Kadir Olpin says she is bound by contract with MasterChef producers. 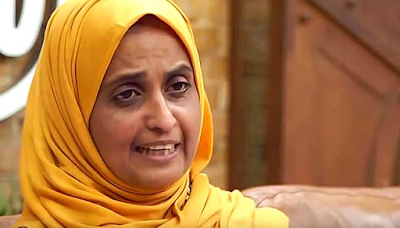 PETALING JAYA: After becoming a worldwide sensation following negative comments by two British television chefs about her chicken rendang, Malaysian-born Zaleha Kadir Olpin thanks those who came to her defence but remains tightlipped as she is bound by contract. “Prior to being a contestant of MC (MasterChef), each and every one of us have to sign a contract with the BBC and Shine TV, the producer,” Zaleha said in an Instagram post today, days after she was eliminated from the popular cooking competition. “I am not ignoring you or being ungrateful. I simply cannot respond to the ‘rendang’ posts,” she said. 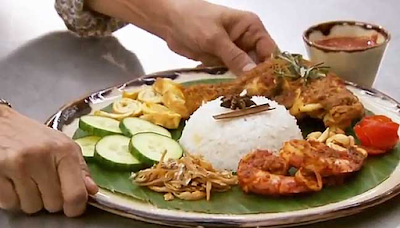 Zaleha, who made it to the quarter final of the show, had prepared nasi lemak with chicken rendang, but her rendang was snubbed by judges John Torode and Gregg Wallace who said the chicken skin was “not crispy”. Their comments stirred fury on social media, with many saying they had never heard of chicken rendang being crispy. “Saying chicken rendang should be crispy is like saying that hamburgers should be boiled,” Asian food street expert KF Seetoh told Reuters. The incident even saw Prime Minister Najib Razak and opposition leader Dr Mahathir Mohamad laying aside their differences and uniting in support of Zaleha. Zaleha said she was touched by the “overwhelming suppport”, and thanked leading Malaysian chefs Chef Wan and Norman Musa. “You guys are legend,” she wrote. A hashtag 'gastrodiplomacy' was soon trending along with 'rendanggate'. 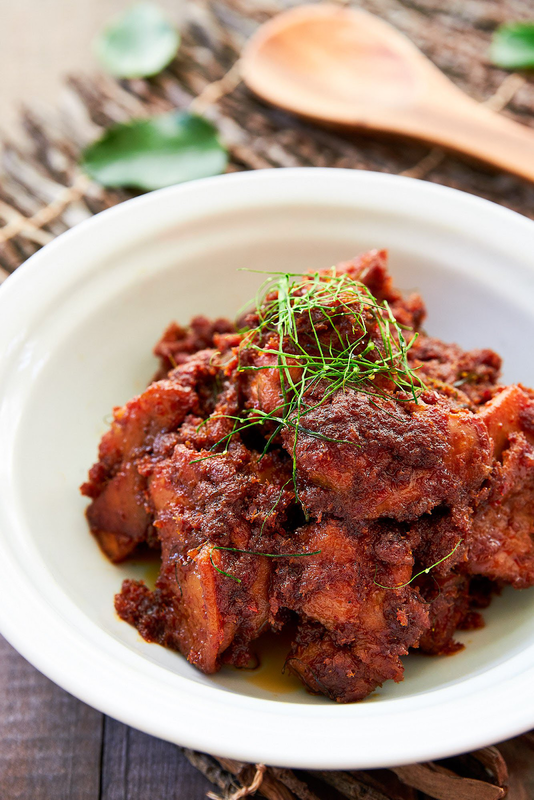 KUALA LUMPUR: Southeast Asians have united to defend hugely popular “chicken rendang” that was knocked out of a British cooking competition television show for not being crispy enough, but the longstanding debate on the origins of the dish rages on. Malaysian-born chef Zaleha Kadir Olpin cooked nasi lemak, a beloved traditional Malaysian dish, served with chicken rendang in the quarter-final of the BBC show “MasterChef UK”, in which contestants were asked to prepare a meal that was important to them. Judges John Torode and Gregg Wallace turned down the chicken accompaniment saying the skin wasn’t crispy, stirring fury on social media and a viral debate in Malaysia, Indonesia, Singapore and Brunei where the spicy dish is widely loved. “Chicken rendang should be made authentic. And it is just stupid for it to be crispy,” said KF Seetoh, founder of Makansutra and an Asian street food expert based in Singapore. Rendang is traditionally made with chicken or beef that is slow cooked with Asian herbs and coconut milk. Haikal Johari, 41, executive chef of Michelin-star restaurant Alma by Juan Amador in Singapore, said he had never heard of chicken rendang being crispy. “Chicken rendang is a dish that many of us grew up with. And to have an angmoh (caucasian) tell us how the dish should be like is a smack on our face,” said Haikal. Malaysian Prime Minister Najib Razak waded into the debate on Tuesday saying no one eats crispy chicken rendang – and veteran leader Mahathir Mohamad for once agreed with his arch-rival. A hashtag “gastrodiplomacy” was soon trending along with “rendanggate”. Corporates were not to be left out. Regional e-hailing service Grab offered promotions, asking users to tweet #RendangIsNeverCrispy. However, the jury is still out on which country owns the dish with neighbouring Indonesia already claiming it. Some suggest the first version of rendang was in Padang, West Sumatra, Indonesia, some 600 years ago. Torode riled Malaysians by suggesting on Twitter that chicken rendang was from Indonesia, and ending his tweet with “namaste”, an Indian greeting. “I don’t know what’s wrong with these Malaysians keep saying Rendang theirs, it’s like the Koreans claiming Japanese ramen,” said one post on Twitter. Many other Indonesians were quick to agree. Haikal from Alma said there were different versions of the dish. “In the region and the Malay archipelago, it (rendang) is made by different people including Singaporeans, Malaysians, Indonesians, and even in Thailand, there is a dish called massaman, which actually tastes really similar to the chicken rendang too,” he said."